In less than 3 months the Russian city of Sochi will host the Winter Olympic Games. To help promote the games, the Russian Olympic committee has installed a special ticket machine at the Vystavochaya subway station, west of Moscow. But unlike other machines, commuters can earn their ticket by doing 30 squats. Volkswagen Holland‘s Up! Holland Up! 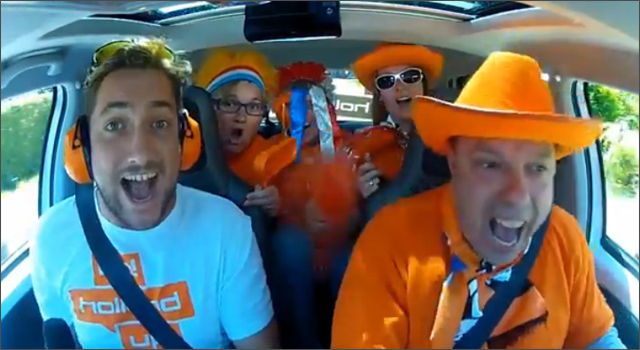 campaign is giving Dutch Olympic fans something to scream and yell about. And, if those fans cheer loud enough they can earn a trip to London and tickets for the Olympic Games. Volkswagen’s Dutch agency ACHTUNG! and application developer B-Lex worked together to modify a new Volkswagen Up! by removing the accelerator pedal and configuring the engine to accelerate based on the sound inside the car. People were invited to register for the challenge, and would be contacted when the car was in their area. Their challenge was to scream as loud as they could to make the car travel 100 metres. The louder they cheered, the faster the car would go. The fastest time each day would win the tickets to London. There are more tickets available for the people in the 10 videos that are voted the funniest. Filed Under: Automobiles, Experiential Tagged With: ACHTUNG!, Amsterdam, Netherlands, Olympics, Volkswagen Up! The 410 athletes that make up the 2012 Australian Olympics team were sent off to the rallying cry of Men at Work’s 1982 worldwide hit ‘Down Under’. The song is featured in a new ad for Australian mobile provider Telstra, has been become synonymous with Australia. I also introduced the rest of the world to the concept of a ‘Vegemite sandwich’. 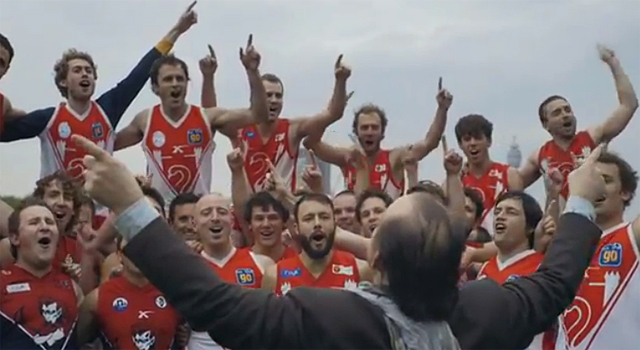 The ad features Men at Work vocalist Colin Hay leading a choir, athletes, bar patrons and a stadium full or pumped up Aussies in an updated version of the classic. It was shot in seven different locations in London and took eight weeks to coordinate and shoot. The updated version ‘Down Under 2012’ is available for download in iTunes. The ad was created by DDB Sydney. David Beckham is a very busy man these days. Despite being left off the the roster of the British Olympic football squad, and the London Olympics opening a day or two away, Beckham boarded a plane and flew to Philadelphia where he was one of the best players on the field for the MLS All Stars as they defeated Chelsea 3-2. 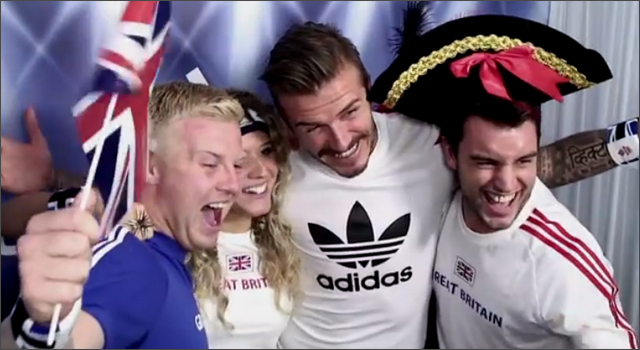 Beckham still found time to surprise fans at an adidas #takethestage photobooth at Westfield Stratford City shopping centre, located near the Olympic park where fans had been invited to support the Great Britain team. It’s awesome to see the variety of reactions to Beckham as he pokes his head around the corner. The 2012 London Olympics are still a few weeks ago, and preparations all over the city are in high gear. After creating recordings all 205 National Anthems for the Games, nine members of the London Philharmonic Orchestra and conductor Gareth Newman came together to create a tribute to the British Olympic team by beeping their way through ‘God Save the Queen’. 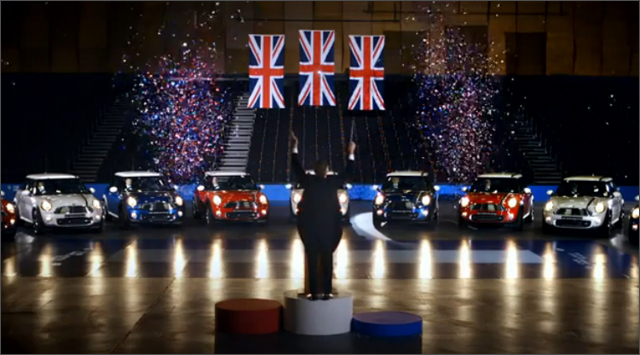 The video was created by London agency WCRS.